This exhibition brings together five Ontario-based artists who engage with various photographic processes to investigate the social histories of land, architecture and institutions. 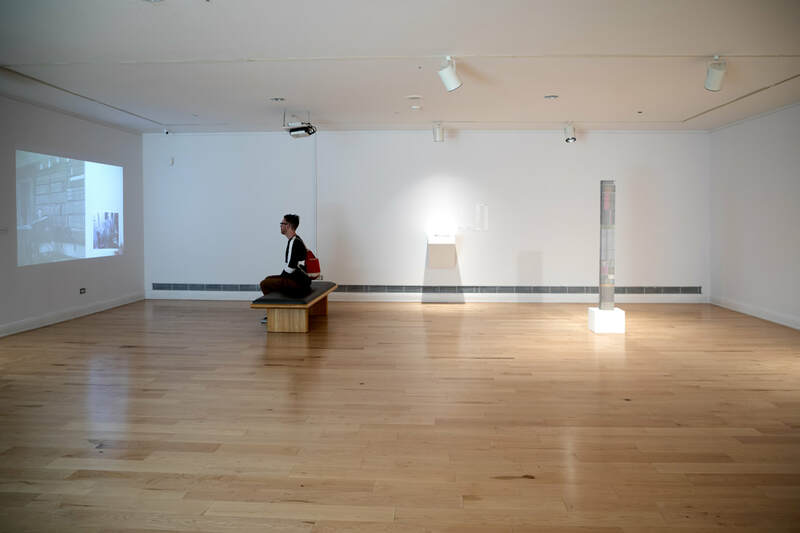 On the occasion of the fiftieth anniversary of the RMG, the gallery invited each artist to produce a new project that grapples with the shifting nature of Oshawa’s social, economic and technological fabric. For these commissioned pieces, my interest in Oshawa is in looking at it through photographic archives, particularly the Oshawa Community Archives. I am less interested in The Oshawa Community Archives as an official record of the history of Oshawa, and more so as collection of vernacular photographs of the region often coming from individual collections and family albums. Vernacular photography represent a more personal experience with photography, often illustrating a sense of individuality and identity through images of leisure or unorganised activities. My research focused on a collection of photographs titled Filing Cabinets comprised of 7,412 original photographs stored in the archives of the museum. For more details on each piece see The Stack, From the Filing Cabinets, and People & Dogs.